The Twinguard protects you from the dangers of fire. and allows you to optimise the air to make your home feel more comfortable. A smoke detector is an invaluable asset to your home to protect you against the dangers of fire. The Twinguard is constantly on alert for the detection of fire, so much so that it continuously measures the temperature, humidity and air purity so that you experience an optimum level of comfort around the clock. 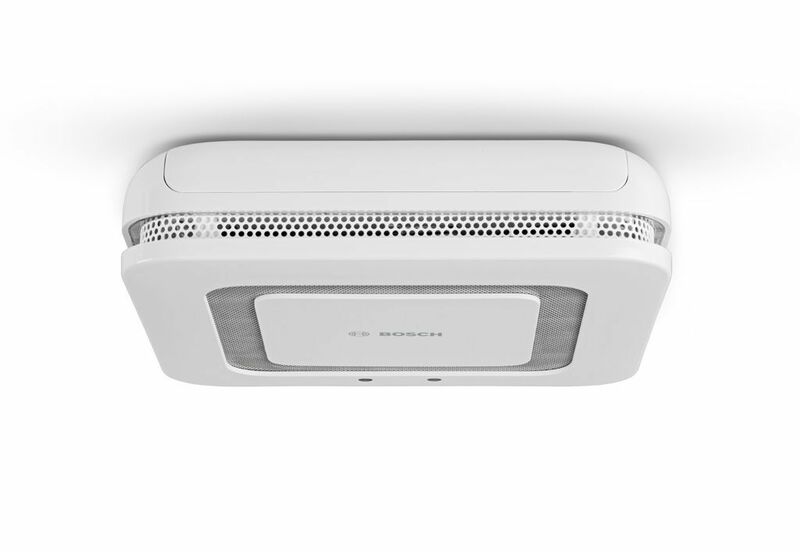 It offers you and your family safety at all times and simultaneously improves the climate in the room. The Twinguard Starter Kit is the ideal starting point for optimising the climate of your room and includes the all important Twinguard Gateway to combine other Twinguards in your home. 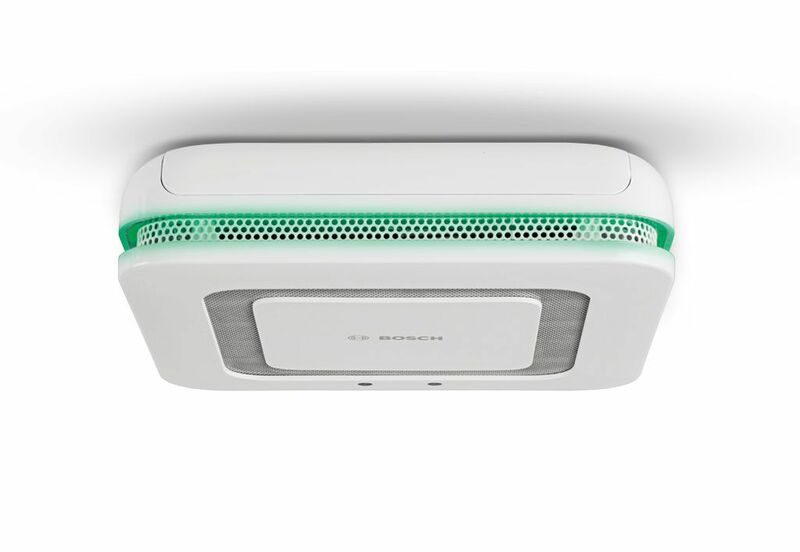 The innovative smoke detector detects smoke immediately and sends an alarm – and, thanks to the integrated air quality measurement, helps you optimise inside air. 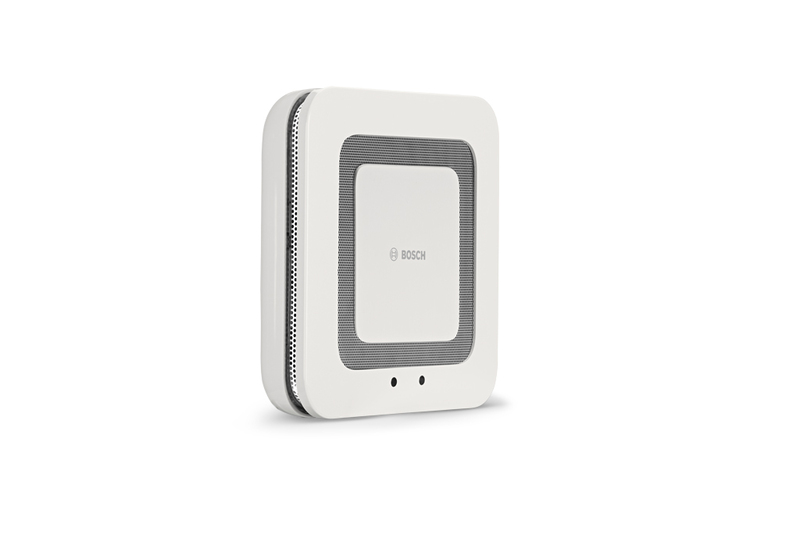 Can I pre-order the Bosch Smart Home Twinguard? If you register as a customer, you can reserve the product on the respective product page ("Reserve product"). 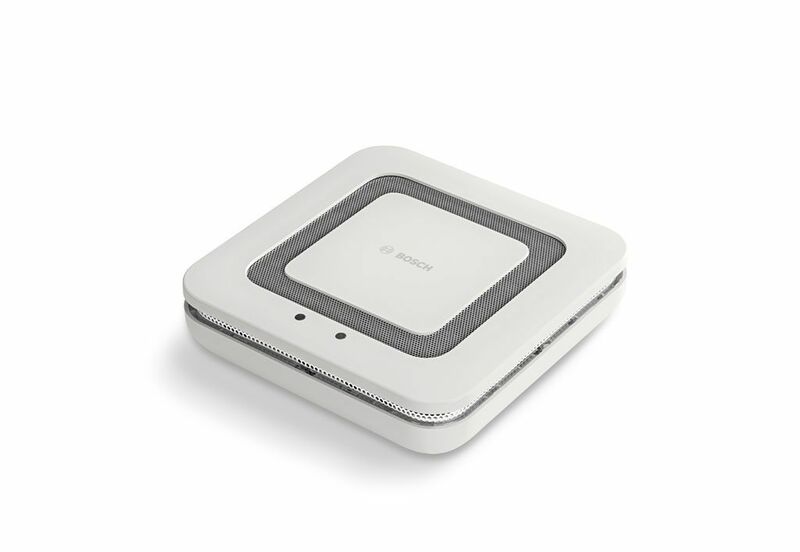 We will provide you with exclusive notification as soon as your Bosch Smart Home Twinguard will be available. How does the Dual Ray technology differentiate from conventional smoke detecting techniques? Every day, smoke detectors with Dual Ray technology reliably protect thousands of industrial-sized buildings such as shopping centres, office complexes and airports. 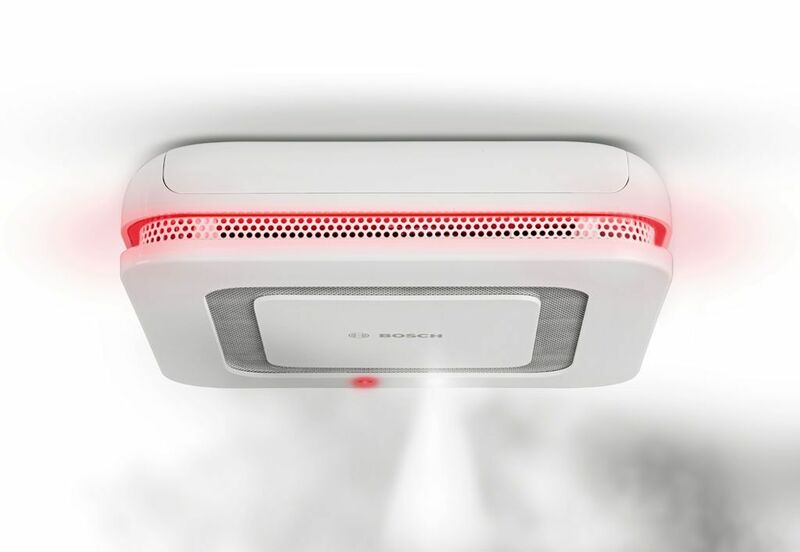 The high-precision technology reliably detects even the finiest smoke particles. Dual Ray works with 2 LEDs in the blue and infrared range. The result is exceptionally reliable fire detection with as few false alarms as possible. Dual Ray Technology features Intelligent Signalling Processing (ISP) based on Bosch's decades of experience in professional fire detection. 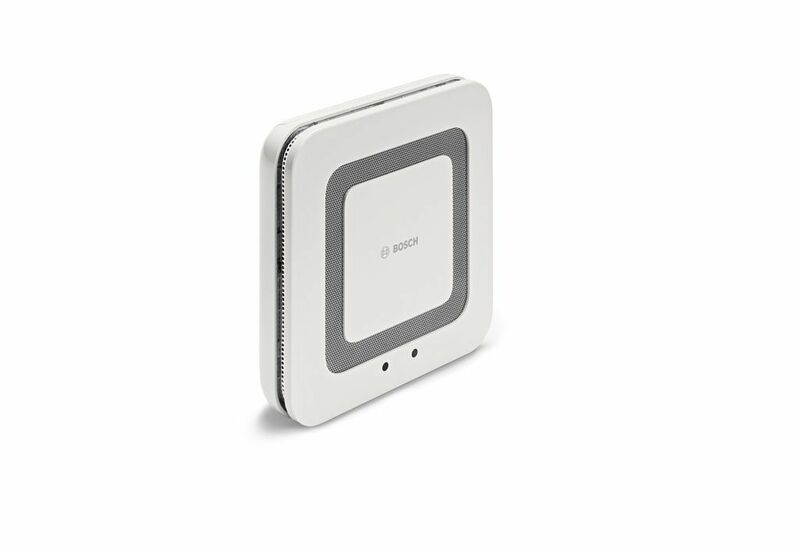 How does the Bosch Smart Home Twinguard calculate the optimum air quality? 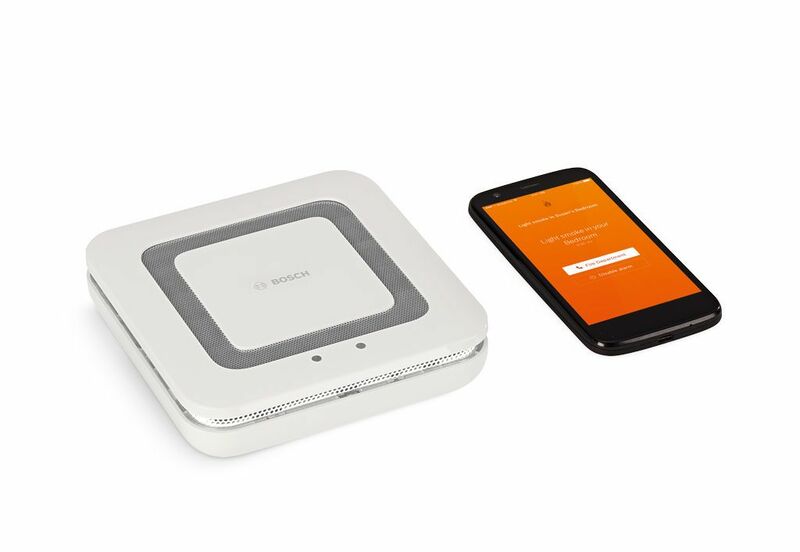 Dedicated algorithms analyse the different data which have been recorded and visualise the result in the form of leaf symbols for the room you are monitoring. The Bosch Twinguard app has stored data on the optimum air quality range for various room types, such as bedrooms, which are based on scientific studies. These are used as a reference. 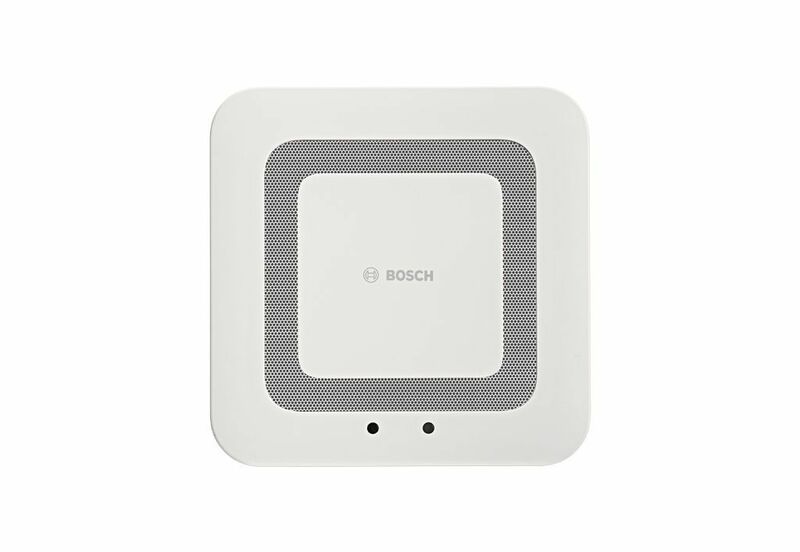 How can I install the Bosch Smart Home Twinguard? To install the Bosch Smart Home Twinguard, use the wall plugs and screws provided. The easiest way to install your Bosch Twinguard is to watch the step-by-step instructions in our installation video or alternatively download the user manual. Please note: Your Bosch Smart Home Twinguard has not been approved for glued installation. Which app do I need in order to use the Bosch Twinguard? You need the Bosch Twinguard app in order to set up and control your Bosch Twinguard. You can download the Bosch Twinguard app free of charge from the Google Play Store (for Android smartphones) or the Apple App Store (for iPhones).